Contact us at 864.271.2710, or stop by our shop, to get these great products for yourself! This needs to be purchased BEFORE your appointment and needs to be applied 30-45 Minutes BEFORE your appointment. For every client who wants pain-free waxing. It’s easy to use. NO-SCREAM CREAM is a lotion that quickly absorbs into the skin, is not greasy, sticky, or messy, and will not ruin your clothes. 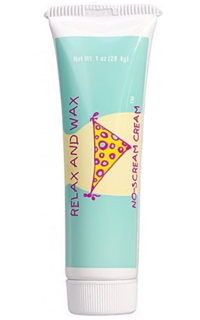 Apply 30-45 minutes prior to your waxing and relax. You’ll never want to be waxed again without it.